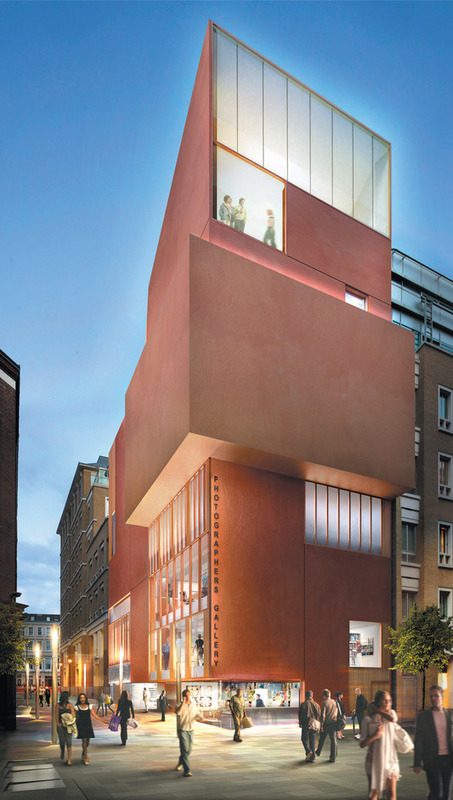 The Photographers' Gallery - Britain's leading centre for contemporary photography - emerged from a 3.6 million pound redesign in May 2012 revealing the work of Irish architects O'Donnell and Tuomey. Relocating from Great Newport Street, its home for the past 27 years, to occupy a former warehouse built in Ramilies Street in 1910, the Photographers' Gallery has three floors of galleries, a studio floor for education activities, a bookshop, cafe and print sales space. Best of all, it hosts a year-round programme of fantastic free exhibitions and events. At ground level the building has a glass wall that links its cafe to a little square outside where outdoor photographic displays are held. On the top floor a large window reveals views across Oxford Street and beyond. A visit to this long-standing gallery is always worthwhile and it's annual Deutsche Borse Prize, the photographer's equivalent of the Turner, is a must-see for anyone with an interest in photography. The American photographer's images reflect the alienation particularly prevalent in post war North American society. The artist uses her body as a site for artist enquiry and self-expression, mixing photography with images that have sewing directly on to the photography of her own body, revealing hidden contour lines. The four artists shortlisted for the prize in 2019 are Laia Abril, Susan Meiselas, Arwed Messmer and Mark Ruwedel. Examples of their work forms the basis of the display. What are the best dining options near Photographers' Gallery London? Photographers' Gallery gyms, sporting activities, health & beauty and fitness. The best pubs near London Photographers' Gallery. Photographers' Gallery clubs, bars, cabaret nights, casinos and interesting nightlife. Where to have your meeting, conference, exhibition, private dining or training course near Photographers' Gallery. From cheap budget hotels to luxury 5 star hotels see our special offers for Photographers' Gallery hotels, including No 5 Maddox Street London from 75% off.